The Unknown, Entertaining Mind of Miss Dena Jones: Blog Candy ! Ooh, YUM! Aren't these cookies way TOO CUTE??? One of my hobby goals is to work on my decorating skills. 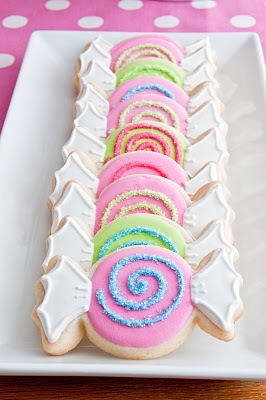 Pretty, decorated sugar cookies are at the top of my list. I hope to one day soon be able to have my cookies look as professional and gorgeoous as these! I have a bunch of cookie cutters already, but I would love to add this cookie cutter to my collection *adds to Christmas wish list*. Now, if YOU want a chance to win the cookie cutter along with some other goodies, check out http://glorioustreats.blogspot.com/. I recently discovered this blog and fell in love with it. There are some great party ideas there. Good luck!